I love a good exfoliating mask. I prefer enzyme and acid exfoliators over scrubs so the REN Glycolactic Radiance Renewal Mask (£30-£32) sounded perfect for me. The mask is made up of lots of different fruit acids such as pineapple and passion fruit which help smooth the skin and encourage cell renewal. I can definitely vouch for that. With my skin being dry and dehydrated, it often looks dull. This is the perfect mask for giving a quick boost of radiance with lasting benefits. It's very easy to use; simply apply a generous layer onto clean dry skin and remove with a muslin cloth and warm water after 10 minutes. I remove it with a flannel although it does come with a muslin cloth. I love the way my makeup looks after I've used this mask. It applies better and lasts that much longer on the skin. If you have sensitive skin, I would probably choose something different. It's not an abrasive mask but it is normal to experience some slight tingling. REN have put on the packaging that this product isn't suitable for sensitive skins. 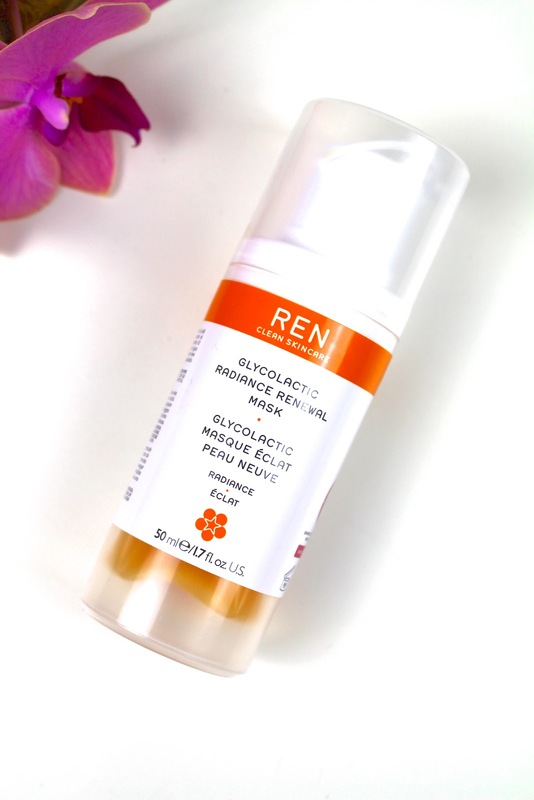 I'd heard really good things about the REN Glycolactic Radiance Renewal Mask and I have to admit that it is lovely. My skin feels smooth and looks incredibly radiant and healthy after using it. What's your favourite exfoliating mask?